Yanuya Island village, a short boat ride away from Tokoriki Island Resort, is home to around 500 people, including many of the staff at Tokoriki. 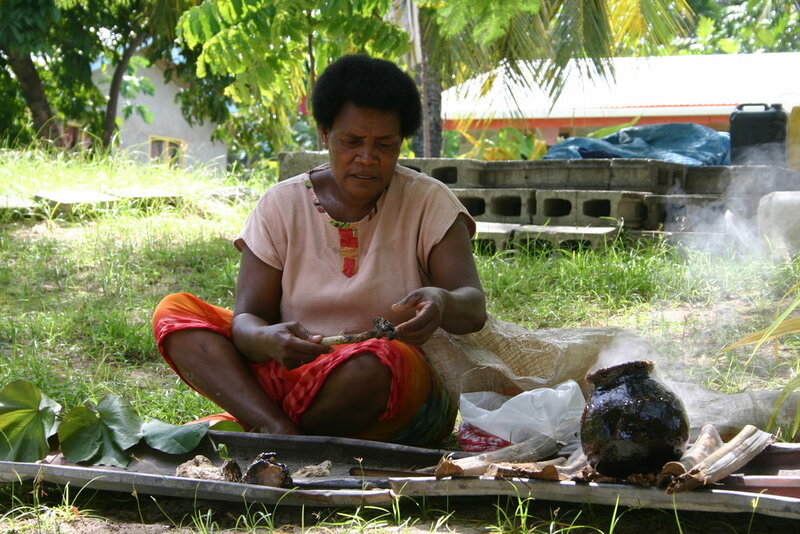 This guided visit is a wonderful opportunity to experience South Pacific island life. On arrival in the village you'll be welcomed by the village elders, and as is customary in Fiji, you'll be offered a bowl of kava, a tradition that dates back to ancient times. After you'll stroll down shaded sandy paths which meander through the village. Tours are very informal, and you can learn as much or as little as you wish to about day to day life and the logistics of living on a remote island. The highlight for most is a visit to the school. In term time you'll be able to visit the kids in class as well as meet the teachers. Whilst on the island, you'll have the opportunity to shop in Yanuya's local handicraft market. This is an excellent way to put something back into the local community as well as picking up some souvenirs to take home. Mondays and Fridays, 11.00 am departure, arriving back at Tokoriki at approximately 1.30 pm. Not here on Monday or Friday? Let us know so we can organize a Village trip for another day. You bring a small bottle of water. You carry some cash for any purchases or donations. F$90 per person for group charters. F$360 for private charters (maximum of 4 people). Village trip transfers operate for a minimum of 4 people.